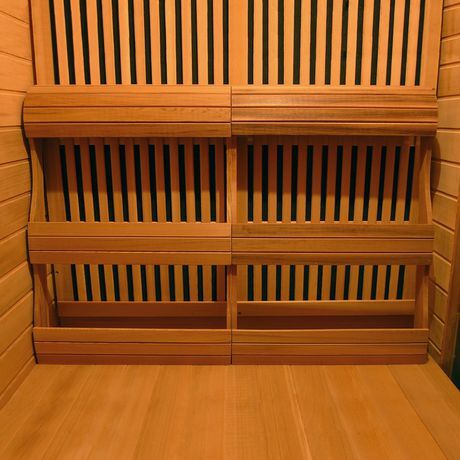 Canadian Red Cedar is renowned for its beautiful color variation, refreshing aroma and its resistance to rot and mildew. Red cedar has always been the wood of choice for top of the line saunas. 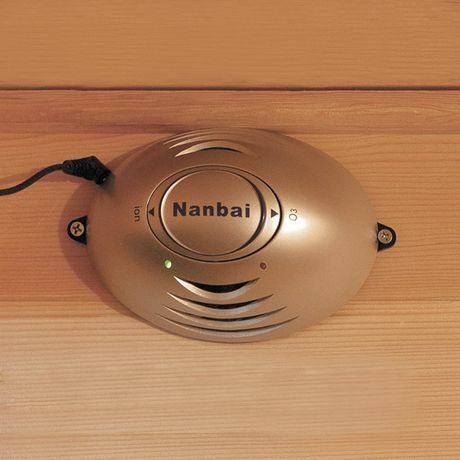 In addition to its aromatic qualities, it is durable and an excellent heat insulator. 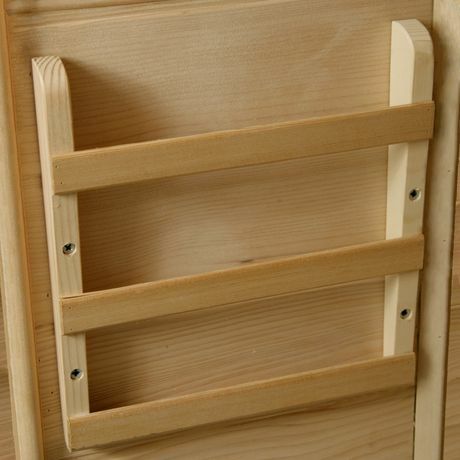 Cedar also has microbial properties that are anti-fungal as well as oils that aid in detoxification. 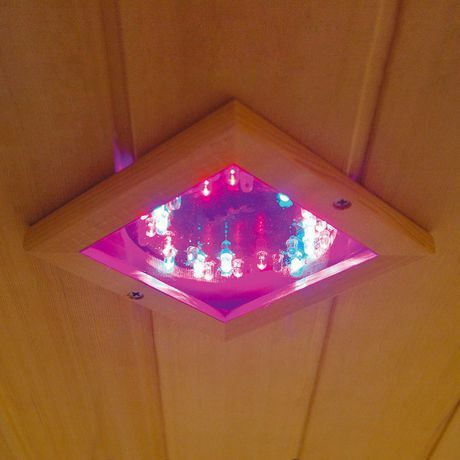 The 6 Person Cedar Infrared Sauna is perfect for relaxing and rejuvenating. 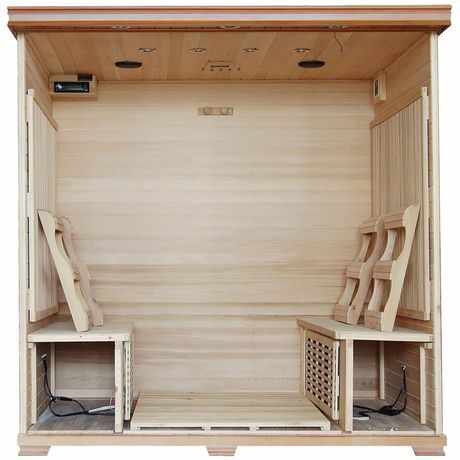 With it's two stagecoach style benches, there's enough room for the whole family to enjoy sauna time together! Our exclusive InfraWave FAR heat technology heaters emit ultra low levels of EMF, making them safe and beneficial to your health. 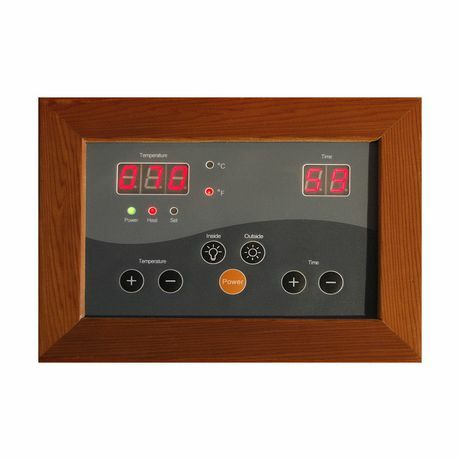 Its “EZ - Touch” dual interior and exterior LED control panels allow for easy temperature control. This unit is loaded with tons of extras, including towel hooks and magazine rack, CD Player with mp3 plug-in, backrests, 7 color CHROMOTHERAPY light and an oxygen ionizer. 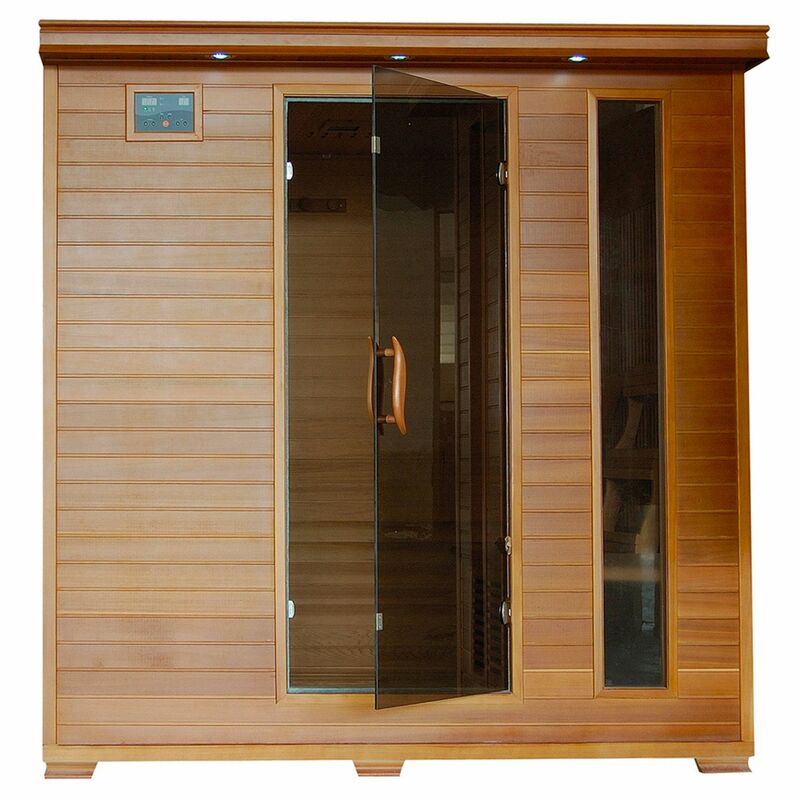 Constructed from top grade Red Cedar tongue and groove joinery to create a superior strength edge to edge surface, these saunas are built to last, providing you with years of health benefits and stress relief. 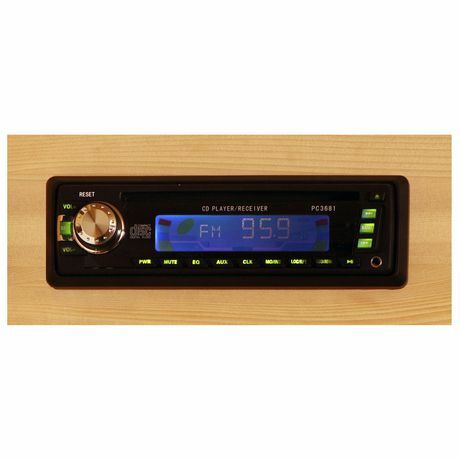 7 year Limited Warranty, 5 year heating & electronics, 1 year radio.